Now that it seems that the Honolulu Mayor and the Governor have come to a resolution over who will be collecting the general excise surcharge for mass transit, officials have discovered that the task will not be a slam dunk. When consumers purchase goods or services from a vendor located outside the state who is not licensed for the privilege of doing business in the state, the state levies a “use” tax on the consumer or purchaser of the goods or services. Depending on how the goods or services are to be used, the rate can be either the wholesale rate of 0.5%, if the item is to be resold, or 4% if it is to be consumed or used by the purchaser. Based on the present interpretation of the general excise tax as being a privilege for doing business in Hawaii, it would follow that any business located in Honolulu would – even though the goods or services are sold to someone on the Neighbor Islands – pay on the basis of where the business is located. So in the case of a law firm where an attorney located in Honolulu drafts a will for a client in Hilo, under the current interpretation, the bill submitted to the client in Hilo will have a pass on general excise tax of 4.5%. The same would be true if a retail store in Honolulu sells a stove to a customer on Maui, the transaction would be subject to the 4.5% rate. Conversely, a bakery located in Kahului selling cookies to a customer in Honolulu would be responsible only for a 4% general excise tax on that sale if the interpretation continues to place the focus of the tax on the origin of the transaction as the business is located in Maui county which has not adopted the 0.5% surcharge. However, legal beagles now argue that this may create an unconstitutional bias where sales of similar items or services are made from a Neighbor Island or from the mainland where the goods or services are sold to a customer in Honolulu. 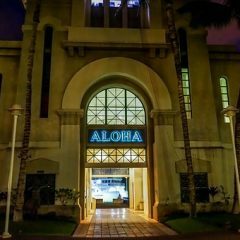 In the case of the sale from an unlicensed seller on the mainland to a customer in Honolulu, the sale would be subject to the use tax imposed on the customer in Honolulu and the rate would be 4.5%. On the other hand, the business on Maui selling similar goods or services to the customer in Honolulu would be subject only to a 4% general excise tax rate. Thus, the customer in Honolulu would probably opt to purchase the goods or services from the Neighbor Island business, all other costs being equal, as the tax rate would be a half percent less on the transaction. The real question is who will be responsible for the tax where the purchase is made from a Neighbor Island business? Since the general excise tax is imposed on the gross income of the business, that Neighbor Island business would have to pay the tax on the sale to a customer on Oahu. The question is, at what rate? If, in fact, the department changes the focus of the general excise tax to one based on destination, that is where the consumption takes place, but continues to make it the responsibility of the selling business to pay the tax, the Maui business would pay a 4.5% rate on all sales to customers who live in the City and County of Honolulu. Conversely, businesses in Honolulu would pay only a 4% rate on sales to customers on the Neighbor Islands. While this may not sit well with Neighbor Island businesses, it is one of the unfortunate side effects of the general excise surcharge where less than all counties impose the additional surcharge. Inasmuch as this will require additional accounting costs, those costs will have to be recouped in the shelf price of all goods and services sold in Hawaii regardless of where the business is located, be it in Honolulu or on the Neighbor Islands.